New Orleans Maritime Lawyers, Admiralty Lawyers, Offshore Lawyers & Jones Act Lawyers are here to serve you! 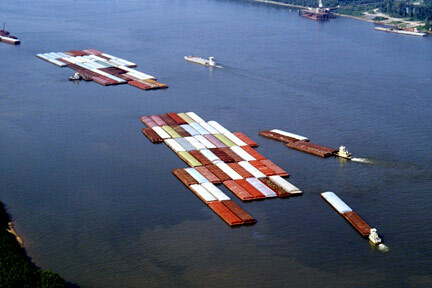 The Port of New Orleans is part of the Port of South Louisiana, the largest port by volume in the Western Hemisphere and the largest bulk cargo port in the world. On its own, the port of New Orleans is the 5th largest port in the United States based on volume of cargo handled and 12th largest in the United States based okay on value of cargo. The Port has helped define the city of New Orleans, as well as trade in the United States, for centuries. The location of the port, at the mouth of the Mississippi River, is so vital to the rest of the country that at one point, New Orleans was the largest city in the United States. Through its history, the port has seen pirates, wars, international commerce, and, in more modern times, cruise ships. These vessels are navigated by the members of the Crescent Rivers' Pilot Association and the New Orleans and Baton Rouge Steamship Pilots Association, which are both parts of a larger group called the Louisiana River Pilots' Association. Countless seamen of all types man the vessels that navigate the Port of New Orleans, the Mississippi River, and the Gulf of Mexico each day. Many other NOLA workers are employed on offshore oil rigs, platforms, and derricks. On Louisiana vessels, there are often problems with manning or undermanning a vessel. Inevitably, accidents on these undermanned vessels and offshore rigs sometimes cause injury to the workers who keep them running. When this happens, a variety of legal courses of action might be advisable, from a Jones Act claim, to a claim under the General Maritime Law, or, in some cases where certain Jones Act requirements are not met, a claim under the Longshoreman and Harbor Workers' Compensation Act (LHWCA). For advice regarding your legal rights following an injury sustained while in the employ of a vessel, contact one of the New Orleans maritime law attorneys listed above. New Orleans maritime lawyers are some of the best in the country and can help you successfully pursue a claim for compensation if you have been injured on the job. A LIVE WEBCAM stream of the Mississippi River in New Orleans can be seen at NOLA.com. Unlike Louisiana workers' compensation laws, which actually prohibit an injured worker from suing his employer while collecting benefits, the Jones Act requires a seaman to file a Jones Act claim to receive any compensation. Also unlike workers' comp, the Jones Act is a "fault-based" system and the injured worker must show that the employer was negligent and/or that the vessel he was working on was "unseaworthy." "Unseaworthiness" signifies that some condition on the vessel made it "not fit for its intended purpose." An injured Jones Act seaman is also entitled to "maintenance and cure," which is similar to workers' comp, although it is not statutory like workers' comp. Under the Jones Act, an employer can also be held liable for punitive damages for arbitrarily and capriciously denying payment of maintenance and/or cure benefits. Thus, the Jones Act is a tremendous tool which allows New Orleans maritime attorneys successfully to pursue claims for accidents and injuries suffered by offshore workers and seamen who travel the intracoastal waterway (ICW). What damages can a New Orleans Maritime Lawyer get you under the Jones Act and the General Maritime Law? 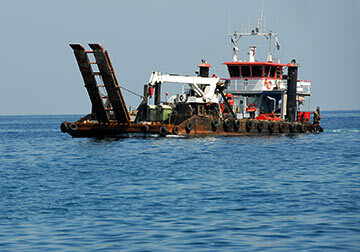 The first type of remedy generally available to injured seamen is compensation for maintenance and cure. As part of maintenance and cure, the employee may receive compensation for transportation and wages until the voyage is complete, and for maintenance and cure until the seaman has reached "maximum medical cure." "Maximum medical cure" occurs when further medical treatment will no longer improve the seaman's condition. Unfortunately, this means that if a disease or injury is medically incurable, like a missing limb, maximum medical cure exists as soon after the wound is closed. Next, when a seaman is injured due to negligence on the employer's behalf, he or she may also receive damages for pain and suffering or lost wages. Finally, the general maritime law may provide compensation for injuries or death when the vessel in question is found "unseaworthy" in some respect. A vessel is deemed unseaworthy when the vessel or its crew were not reasonably fit for their intended use and the defect caused or contributed to the seaman's injuries. Courts have generally interpreted these terms liberally in favor of injured seamen and New Orleans maritime attorneys are experienced with litigating offshore injury claims. An experienced New Orleans Maritime lawyer will be familiar with these laws and can advise you of your status as either a seaman, longshoreman, or otherwise, and help you navigate the legal system regardless of whether you are technically considered a Jones Act seaman. Both the Jones Act and the General Maritime Law can be extremely complex. Numerous legal questions must be answered, and complicated tests govern jurisdiction, "vessel in navigation" status, as well as seaman status under the law. Additionally, the amount of recovery an injured seaman is entitled to will likely differ based on the facts of each case. Courts in different jurisdictions may have reached conflicting interpretations of a law, or the jurisdiction may have conflicting legal precedent on an issue. A competent New Orleans maritime attorney knows the ins-and-outs of these laws and is skilled in the local court system. In most cities, very few attorneys specialize in maritime law; however, New Orleans is lucky to have some of the most experienced maritime lawyers in the country and their expertise can help you obtain the judgment you deserve. 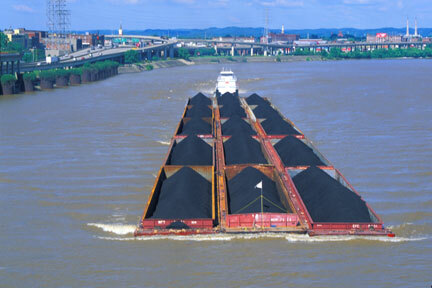 Contact one of the expert Mississippi River maritime attorneys listed above for a consultation regarding your rights. Oil rigs like the one involved in the BP Gulf Oil Spill disaster are owned and run by large companies who look to cut costs and make a profit. Often, these profits are made by cutting corners in their safety procedures. One way large companies can save money is by undermanning a rig or manning it with people who have made big mistakes before. Management at these companies must report all safety issues and be able to do so without fear of retribution from the company who owns the rig or vessel. There can also be problems when the Coast Guard mis-classifies a vessel. For example, the Deepwater Horizon was classified as a Mobile Offshore Drilling Unit (MODU) when it realistically was also a dynamically positioned vessel (DPV). A DPV uses a complicated computerized system of thrusters propellers and sensors to keep the ship in place. This is important because it changed the crew and manning requirements for the vessel. This could have helped lead to the oil spill. Another problem on drilling vessels is that the captain often is not given control over drilling operations. The captain's purpose is to make all of the final decisions on the ship. When control is taken from him, it can lead to safety problems. 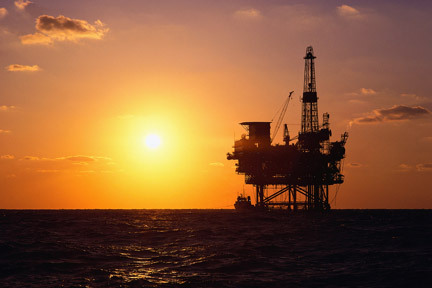 If you or a family member is hurt in the Gulf Offshore Oil industry, contact a New Orleans Jones Act Lawyer today. Contact a New Orleans Jones Act lawyer immediately upon being injured to be advised of your legal rights. To find a New Orleans Maritime Attorney, see the box in the top-left corner of this page. These Maritime Lawyers are experienced and qualified to represent you. How can you find a quality New Orleans Maritime or Jones Act lawyer near you? Contact one of the qualified New Orleans maritime lawyers listed at top, all of whom have significant experience dealing with Jones Act claims as well as other types of maritime-related lawsuits.